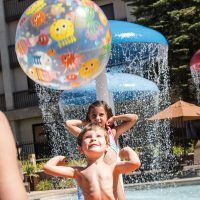 Family Vacation Critic has released the winners of the third annual Family Vacation Critic Favorite Hotels Awards. Over 600 hotels received the honor of “Family Vacation Critic Favorite,” representing the top 11% of hotels on the site. The hotels on this list have met a set list of criteria, based on reviews from the site’s editors and community of family travelers. For more information on the award criteria, click here.